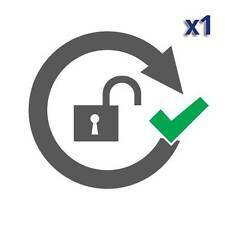 Reset Key for use with WIC service reset Utility Program. The printer has a counter that records ink usage and estimates when these pads will be full. At this point the printer shuts down and enters its 'service mode'. Druckerpatronen, Tintenpatronen, Druckerpatrone, Tintenpatrone. Original Canon CD-R Tray Einschub J QL2-6297. 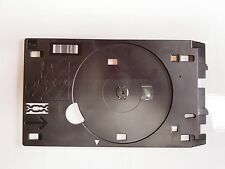 Canon CD-R Tray Einschub J QL2-6297 Schwarz 1x. Unter anderem geeignet für folgende CANON Drucker. Cavo indispensabile per il collegamento di dispositivi caratterizzati da connettori USB di tipo A e di tipo B. Permette di collegare qualsiasi computer dotato di una porta USB ad un qualsiasi dispositivo dotato di connettore USB di tipo B. Si tratta di un prodotto universale, impiegabile con i dispositivi di qualsiasi marca. Piccolo e facile da usare, praticamente non occupa spazio in borsa o in tasca. Le Kit pouvant etre utilisé aussi avec les autres types d'imprimantes: HP, Canon, Lexmark, Dell, samsung, Kodak, etc.. Compatible Carriage Belt for HP DesignJet 500/ 800 A1 24" with Pulley. DesignJet 500 C7769B C7769BR. DesignJet 510 CH336A. DesignJet 800 C7779B C7769BR. Compatible Carriage Belt for HP DesignJet 500/ 800 A0 42" with Pulley. DesignJet 500 C7770B C7770BR. DesignJet 500 Plus. DesignJet 510 CH337A. DesignJet 800 C7780B C7780BR. Compatible Carriage Belt for HP DesignJet 500/ 800 A0 42" with Pulley. DesignJet 500 C7770B C7770BR. DesignJet 500 Plus. DesignJet 800 C7780B C7780BR. DesignJet 815 MFP Q1279A. 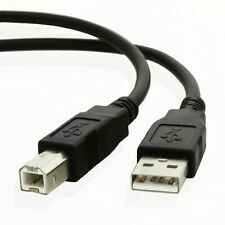 CÂBLE USB type A mâle à USB type B mâle Longueur 2 mètres. PhotoSmart Premium C309a. PhotoSmart D7560. PhotoSmart Premium Web - C309n. 1 x printer head. PhotoSmart D5400. 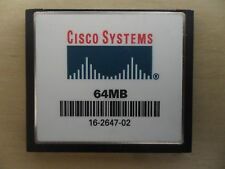 PhotoSmart C6388. PhotoSmart C6383. PhotoSmart eStation e-All-In-One - C510. 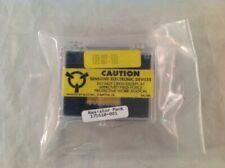 Epson E6775 Printhead Contact Board für XP-305, XP-215, XP-315, XP-415, usw. XP-30 XP-33 XP-100 XP-102 XP-103 XP-202 XP-203 XP-205 XP-207 XP-212 XP-215 XP-225. XP-302 XP-303 XP-305 XP-306 XP-312 XP-313 XP-322 XP-323 XP-325 XP-330 XP-332 XP-340. Abbildung und Tech. XP-342 XP-400 XP-405 XP-406 XP-413 XP-420 XP-423 XP-430 XP-432 XP-434 XP-440 PX-045a Serien. 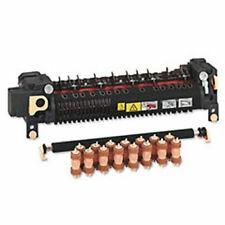 The PowerFlush is injected slowly into the problem nozzle, cleansing both the line and printhead. 5ml Syringe and adapter tubing to administer solution to print head. Great service and the printer nozzle cleaner works. HP DesignJet 500 800 Ink Tube Cover. DesignJet 500. DesignJet 510. Refill Tools. Provides a tried, tested and re-usable waste ink collection system for anything purged during printhead cleaning/priming processes. Standard capacity 180ml tank. This kit includes various support guides. Ein Holder Assy Film Slide 35mm Cover Film 35mm. Seit 2001 vertreiben wir Drucker Ersatzteile und Druckerzubehoer. Rechnung mit ausgew. Neu u. OVP Boxed as new. Resttintenbehälter, Ink Waste Tray, Absorber. als DHL Paket. Unsere Vorteile. XP-750 XP-760 XP-850 XP860 Premium Serie. Brother Part # LY2204001. BROTHER Paper Cassette Rear Guide. Genuine Brother OEM Accessory. ZYLtech Brass NutONLY - T10x2. DesignJet 1055CM. DesignJet 1055CM Plus. DesignJet 1050C. DesignJet 1050C Plus. Compatible Carriage Belt for HP DesignJet 1050 with Pulley. 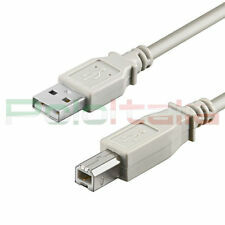 Compatible Trailing Cable for HP DesignJet 500/ 800 A1 24". DesignJet 500 C7769B. DesignJet 500 C7769F. DesignJet 510. DesignJet 800 C7779B. Hama Universal Protective Printer Dust Cover Transparent 42207. Canon PIXMA MP490. Bluetooth-Modul BU-30 von Canon. - Canon PIXMA iP100. - Canon PIXMA MX320;. - Canon SELPHY CP530. - Canon SELPHY. Pour Pixma MG 2550 / 2555 / 2420 / 2520 / 3022 / 2950. Compatible Carriage Belt for HP DesignJet 500/ 800 A1 24" with Pulley. DesignJet 500 C7769B C7769BR. DesignJet 510. DesignJet 800 C7779B C7769BR. 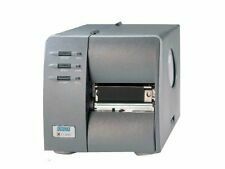 Up for sale is in great condition Zebra ZM400 Printer Kit Option Cutter. This OEM kit cutter has been fully tested, is in excellent working condition, and shows a few light scuffs scratches from previous use and storage. This was CAD designed and manufactured for use with 35 mm film. The issue with this is two-fold. First, my max build is just below the length of most OEM holders. Why not just put my holders straight down on the glass?. 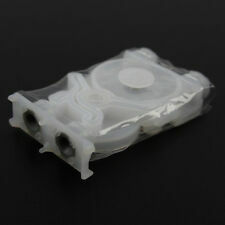 MG Printhead compatible kit to administer solution to print head. 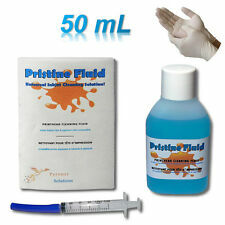 Canon MG Printhead Cleaning Kit. Printhead Removal. Printhead Removal - YouTube. With this kit, you will be able to soak the clogged nozzle or nozzles directly and break down the ink jam and get the ink through the microscopic nozzles and your printer back printing again. This is a 126 film format negative holder for use with the Plustek Opticfilm film scanners (Patent Pending). This was CAD designed and manufactured for use with the obsolete 126 film format that was popular in the 1960s and 70s. 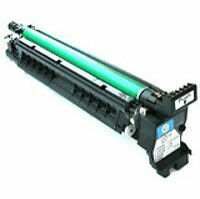 Ink Tube Cover C7769-40041. Ink Tube Cover, Abdeckung für Druckköpfe, Schlauchsystem. Kompatibel mit OEM Nr. für HP DesignJet für HP/Compaq DesignJet. Seit 2001 vertreiben wir Drucker Ersatzteile und Druckerzubehoer. New Precision Aluminum / Polyurethane Flexible Shaft Coupler.12MM x 14MM (Shaft Inputs). 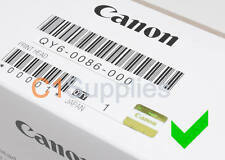 Brand New QY6-0059 Print Head for CANON IP4200 MP500 MP530 etc. FOR IP4200 MP530 MP500. Condition: NEW. (2-Padded；8-BoxA；12-BoxM). Oder QM7-1271 [K30346]. Original Canon Netzteil QM4-3719-DB01-01. Refill Patronen CLI8 PGI5. Refill Patronen CLI521 PGI520. 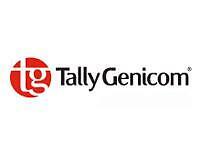 Refill Patronen CLI551&PGI550. Autoresetpatronen CLI551PGI550. Original Canon Netzteil.